Join Philanthropy New York for the latest in our Equity Speaker Series: Exploring Racism in America, which features some of the nation’s leading authors, artists, and activists. Explore how racism shapes our policies, influences our institutions, and constrains the impact philanthropy hopes to achieve. Discover how a shared vocabulary, deeper understanding of race, and an imagination for equity are critical tools in your philanthropic practice. Join your peers and some of America’s greatest thinkers to inform and equip you in leading your foundation’s work. Discover academic, artistic and activist insights that will help you to better identify racism and inspire new ways of thinking about racial equity. 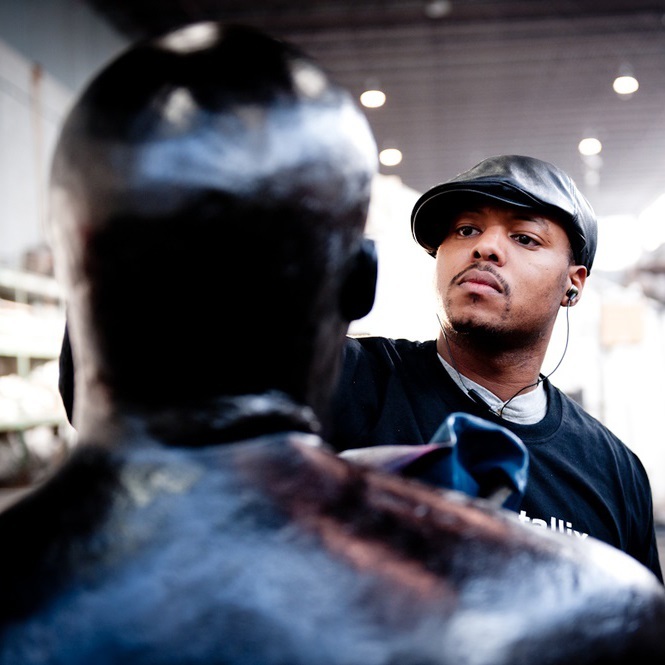 Titus Kaphar is an American artist whose work reconfigures art history to include African-Americans as central figures. His art is held in the collections of such institutions as the Museum of Modern Art, Yale University Art Gallery, Seattle Art Museum and Virginia Museum of Fine Arts, among others. Most notably, he was commissioned by Time magazine to create a cover image capturing the protest of the police shooting of Michael Brown in Ferguson, Missouri. Join us in a discussion and screening of Kaphar’s short film, The Jerome Project, a multimedia investigation into the criminal justice system through the lens of the common name Jerome. The project began as Kaphar was researching his father's prison records, which led him to find the mugshots of many other African-American men who shared his father's first and last name. Kaphar then began creating a series of small portraits and chalk drawings of these men, which were exhibited in 2015. The short film that we'll screen together is another piece of The Jerome Project. We invite you to learn how art and creative media can inform and inspire our philanthropic support of such issues as justice reform.